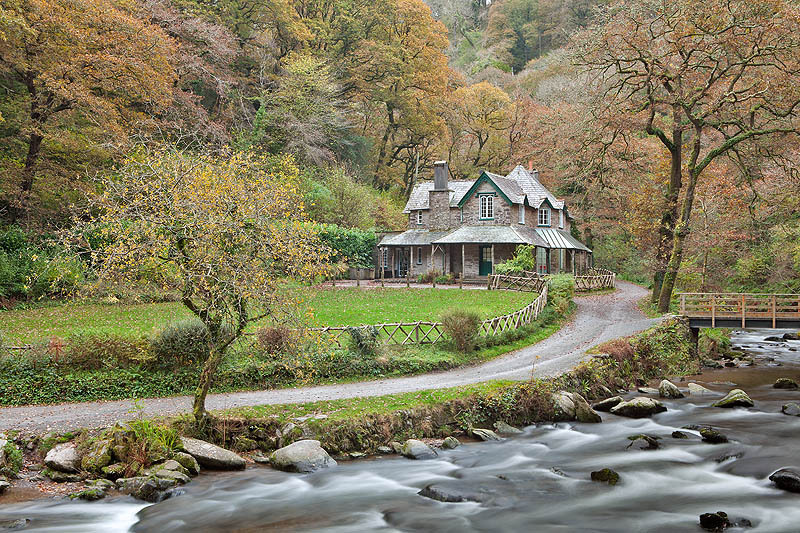 Watersmeet House and Tea Room surrounded by the autumn colours of Barton Wood with the East Lyn river rushing by on a still autumn morning. Watersmeet. North Devon. October 2012.